Khloe Kardashian and Lamar Odom are finally divorced, after seven years of marriage and a long breakup filled with years of turmoil, including a recent health scare for the former NBA player. Court documents finalizing their split were filed on Dec. 9 and it was made official Saturday. Khloe had first filed for divorce in 2013, withdrew her petition last year after Lamar suffered a drug overdose, and then filed for divorce again this past May. As part of the divorce agreement, their joint company Khlomar will be dissolved, and both have waived spousal support, CNN reported. In addition, their 2009 prenup will be honored. Khloe will also drop Lamar's last name from her legal name. "They are friends and always will be, but they don't talk in the same way they used to," a source shared with E! News. 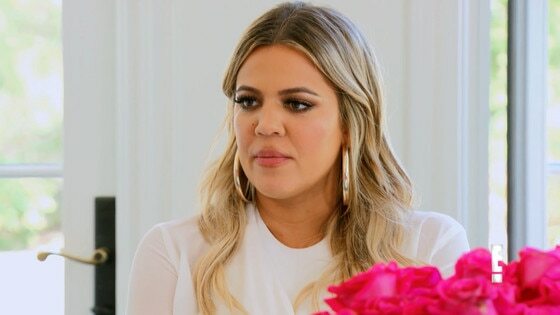 "They became very close after the Vegas incident and obviously Lamar is extremely grateful to Khloe for everything she did for him, but their relationship has undergone a metamorphosis." While they are not in daily contact and communicate infrequently, it appears that there is still a bond between the two. "There will always be a deep affection there for one another, but both of them have moved on," our source added. "This divorce provides a natural end to that chapter in their life." Khloe and Lamar wed at a private estate in Beverly Hills in September 2009. In 2013, the two were subjects of breakup rumors. They underwent therapy to try to repair their relationship in November. Khloe filed for divorce in December 2013. Her original papers were submitted three months after the athlete spent several hours in rehab following a DUI arrest. "It wasn't any easy decision, but at the end of the day she's not going to stay with someone who refuses to get help," a source told E! News at the time. In July 2015, Khloe and Lamar signed documents to finalize their divorce. But a judge never signed them to make it official. The following October, Khloe stopped the divorce proceedings after Lamar was hospitalized following a drug overdose at a Nevada brothel. At the time, she was still dating Houston Rockets star James Harden. The two broke up this past February. After Lamar was hospitalized, Khloe flew to Nevada to be by his side. She accompanied him as he was transferred to a medical center in Los Angles and continued to help him get better. "Her top priority and main focus is Lamar's recovery and well-being. Their relationship status comes after that. He needs her right now regardless of anything," another source told E! News at the time, adding, "Khloe never stopped loving Lamar." In January, Lamar was released from the Los Angeles hospital. Khloe continued to help him in his recovery efforts. In February, Khloe, who recently split with Harden, went hiking with Lamar and her sister Kim and he also joined her family in New York City, where they attended Kanye's Yeezy Season 3 fashion show. It marking Lamar's first celebrity appearance since his overdose and his and Khloe's first joint appearance in years. Another source told E! News at the time Khloe and Lamar were "closer than ever." But this past spring, E! News learned "Khloe is looking forward to moving on." In May, she filed for divorce from Lamar again. "I came to a point in my marriage where I had to make the choice to take care of my own mental and emotional well-being in order to protect myself and my happiness," Khloe wrote in a Lenny newsletter. "I'm at peace with that decision and do feel like I honored my vows to the very end," she said. "I feel that I kept the serious vows I made in front of God with every inch of my heart, which is why I am still honoring them today even though my relationship with my ex-husband is in a different place."